Selling Luxury Real Estate has become its own niche within the real estate business. That being said, the pricing and marketing of luxury estates is so incomparable to that of lower-end homes that choosing an agent to sell your luxury home really needs to be as selective as choosing a heart-surgeon. Because of the uniqueness and quality craftsmanship of luxury homes, they cannot be generalized with other homes, even expensive homes. Selling luxury real estate requires a skill set that most real estate agents don’t have. What you will need is a Luxury Real Estate Specialist. Your luxury home is more than a substantial financial asset – your luxury home represents your lifestyle. It’s likely that your luxury home is accustomed to your every taste, and you take pride in its every facet; selling it to a buyer who shows intent on making changes can be arduous to bear, but the right buyer will usually visualize adaptations to accommodate their own lifestyle. This is something to expect and something that shouldn’t be taken personal. A key point to remember is that one of the aspects that make selling luxury real estate so unique is that the affluent buyer is usually in no rush to close, because the affluent can naturally afford to be very particular. A qualified luxury home real estate specialist is keen to this. She is extremely perceptive and understands what she’s selling; she isn’t just selling a home – she’s selling the lifestyle of which the home represents. The quality luxury real estate specialist identifies with the potential buyer, illuminating all unique and advantageous features that appeal to his or her taste. This brings up the importance of choosing the right luxury real estate marketer. 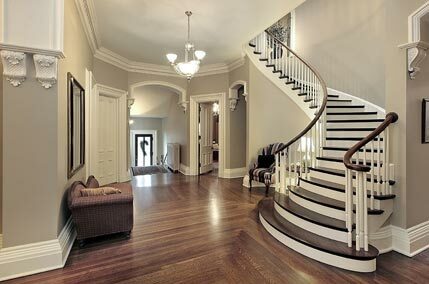 Marketing strategies in luxury real estate need to be creative, effective and elegant all at once. The luxury home-buyer market is much smaller than the average home-buyer market, and with a small pool of luxury home-buyers afforded with the luxury of being choosy in a sea of luxury homes for sale, the proprietor cannot afford to go even a little bit wrong with marketing. Expect marketing through social connections, auctions, galleries, benefits and fund raisers. These are all possible marketing approaches that could be appropriate efficient marketing for your luxury home. The luxury real estate marketer will assess the home, the amenities, and all of the quantitative variables and come up with something effective and grand that harmonizes with the essence of the home. The quality luxury real estate agent should be thorough – and it should be obvious. Upon meeting with the agent for the first time, she should explain the whole process, including any roadblocks and potential scenarios the agent has experienced. The agent will make regular communication keeping you well informed during the negotiation process and adjustments in her strategy. That being said, the quality luxury agent will correspond her communication with your schedule and your preferred method—phone, text, email etc. Expect a quality luxury agent to have the best network of credible experts to benefit you. With plenty of review resources online, every client should take time to do their own research, but a group of high-quality professionals is needed to match that of the luxury real estate agent. They’re going to know the best appraisers, contractors, mortgage lenders, and insurance providers in the industry. These individuals should provide exceptional customer service as well. Experience is also a required trait of a qualified luxury real estate agent. It takes experience in selling luxury real estate to obtain the skill set needed to be effective in such a fiercely unique market. She is equipped with knowledge of statistics and transaction details in the area, the market values, and she is an expert on the neighborhood, amenities and schools. – The difference between listing your luxury real estate and selling your luxury real estate depends on finding the right luxury real estate agent who is a specialist in luxury properties. To attract the right buyer requires creative, effective and elegant marketing, and you, as the seller, will need to be flexible. Selling luxury real estate requires more flexibility than lower-range homes. Expect to accommodate short-notice, private showings and be prepared to hold them open. View recently sold properties in your area and access property information. More on selling luxury real estate. The Lux Property Group has over 15 years experience in selling luxury real estate. Founded in 2010, our Team is comprised of specialists unique in their own area. 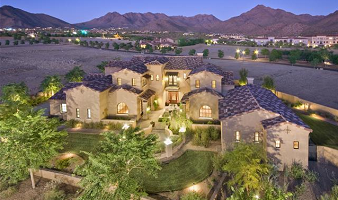 Carlie Goulet, a Phoenix native, is our lead Associate Broker and has a proven track record of successfully closing luxury listings that were previously listed by other real estate companies without success. Her professional affiliations include the Arizona Associations of REALTORS®, National Associations of REALTORS®, National Notary Association, Scottsdale Chamber of Commerce, Phoenix Chamber of Commerce and Women’s Council of REALTORS®. Krystal McCormick was born and raised in Arizona and is a third generation REALTOR®. As Creative Designer for our in-house Marketing Team, she is extremely familiar with market trends and knows the valley inside and out. Krystal invests a personal interest in every home and knows how to showcase properties to get results. Her referral based business is a testament to her success and proof that her clients really do appreciate the level of professionalism and care that she provides. With our advertising and a proven-effective strategy, we offer sales-driven exposure to all our listings.